3 How to clean the house? The question of how to clean the house for many is very important. Someone spends on cleaning only 20-30 minutes, but every day. Others prefer to devote a whole day to restore order, and spend their weekends. How to clean the house, so as not to bring yourself to exhaustion and not spend a lot of time? The main thing is the fighting spirit and help of the household. It is very important that during the time of household chores the mood is upbeat, and even vigorous. Helps with housework energetic music. You can put your favorite disc, and then the work will go much more fun and end faster. And one more thing - set aside for cleaning a certain time, but every day. So you will not be overwhelmed with trash and rubbish by the end of the week, and you do not have to spend precious weekends on this little interesting activity. How to quickly and accurately clean the apartment? Set the timer to 15 minutes, and start cleaning. Let every day you spend exactly 15 minutes to remove one specific area in the apartment. This may be a floor cleaning in the hallway or bedroom, cleaning the kitchen, cleaning plumbing. At its core, such a cleaning option, but every day, is tantamount to a general cleaning, but once a week. So you and the weekend save for your leisure and family, and do not get stuck in the mud. 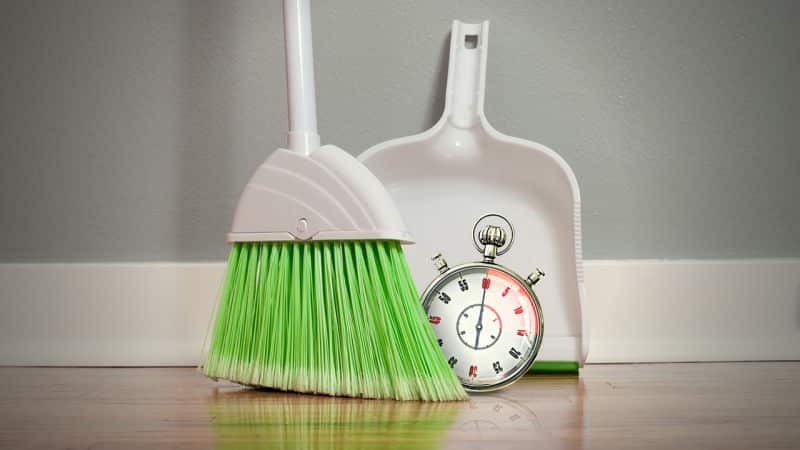 Try at least one week to tidy up with a timer for 15 minutes, and you will see by Saturday that the apartment simply does not need to do a general cleaning, which usually takes several hours. How to clean the house? Before you think about how to wash the apartment, you need to think about how to make sure that there is less dirt in the apartment. First of all, before the doors you need to lay a mat to wipe his shoes on him. So much less dirt will get into the apartment. Outerwear should be shaken out in the hallway, and never bring it into the rooms and the kitchen. In order for the apartment to become less rubbish, the clothes and things for the dacha should be taken there, and you simply throw away the crockery and for a long time the useless things. Как quickly and cleanly clean the house? The answer to this question for each hostess is individual. But in order to always be clean in the apartment, it is necessary to choose the right time for cleaning. 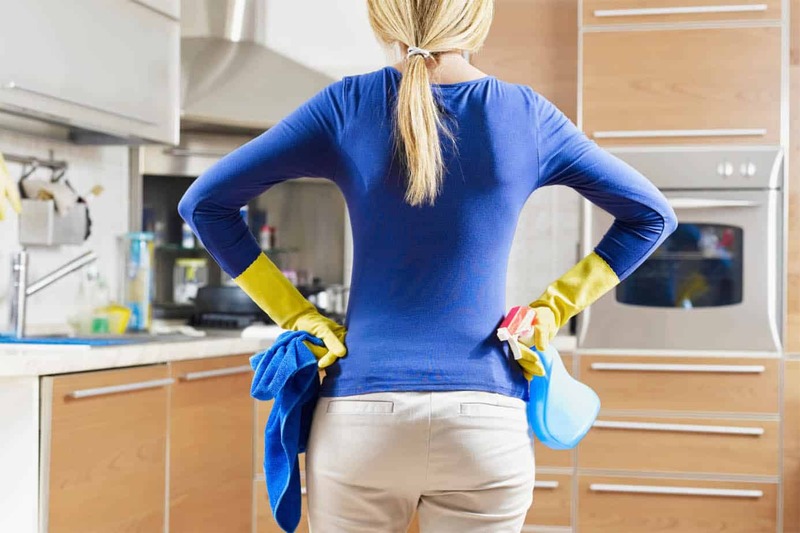 Experienced housewives know that doing the cleaning is better every day, for example, after work, while distributing responsibilities among households. If one will wash the dishes after dinner, and the second vacuums, then at least time will be spent, and the effect will be on the face. As for the right time, it is better to leave the cleaning for the evening, when all the homework will be gathered after the working day, and you can effectively use their free time. To wash the floors in the apartment you need only half an hour, and absolutely no need to do it at the weekend. How to clean the house? First you should sketch out a cleaning plan. It is necessary to tidy up the apartment in stages. Usually, cleaning begins with unfolding scattered things and sorting dirty laundry. Things must be laid out in their places, and the washing machine is running with the laundry. So you kill two birds with one stone. Next, go to dusting and sweeping floors. When the carpets are vacuumed, you can clean the floors and shoes. 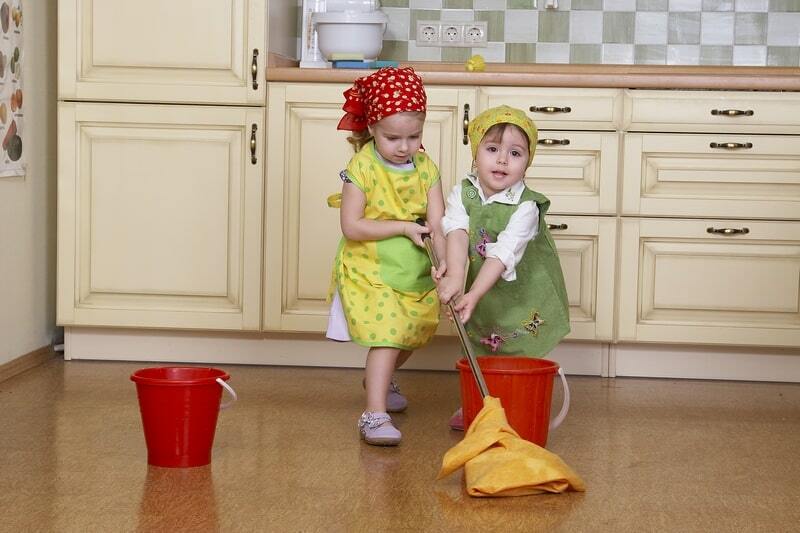 Your children can do the housework they like. If a child likes to wipe dust or wipe mirrors, entrust him with this activity. So work around the house will not become a duty, but will turn into a fun activity. You yourself at this time can cook dinner or wash the floors. Make cleaning the whole family, all together is much more fun. And as a reward you can cook pizza. Although, of course, you can get out of the apartment for money, but it is much easier and more economical to make self-cleaning. But we must maintain cleanliness in the house every day. Be sure to take out the garbage every day, do not eat in the rooms, wipe the tables in the kitchen for the night. Do not buy children too many toys, so that they do not have to collect them all over the apartment for a long time. The same applies to various souvenirs - do not clutter up your apartment and make “dust collectors” out of the shelves. So take care of housing will be much easier. If you still do not have a basket or a box for dirty laundry, then it's time to buy the right thing. In many homes, you can see heaps of clothes on chairs and sofas. It seems to put a sweater in the car with nothing, but I don’t want to wear it anymore. Either immediately put things in the closet, or put them in the laundry basket. So, you came from work, and you are informed that in an hour on the threshold there will be guests. Do not panic and grab everything at once. But without the help of a family you cannot do this. Quickly give everyone a task - before the arrival of the guests it is enough to put the things lying around in places and wipe the dust. If you have time, you can quickly vacuum the carpets and tracks. At all this you will take about half an hour, and even have time to cook something delicious for tea. Tidying up the house is not a monotonous work that turns into a caballa over the years. Cleaning the apartment can take a minimum of time, if you properly distribute your strength and ask for the help of the children and husband. Was the house divorced damp? Eliminate effectively!